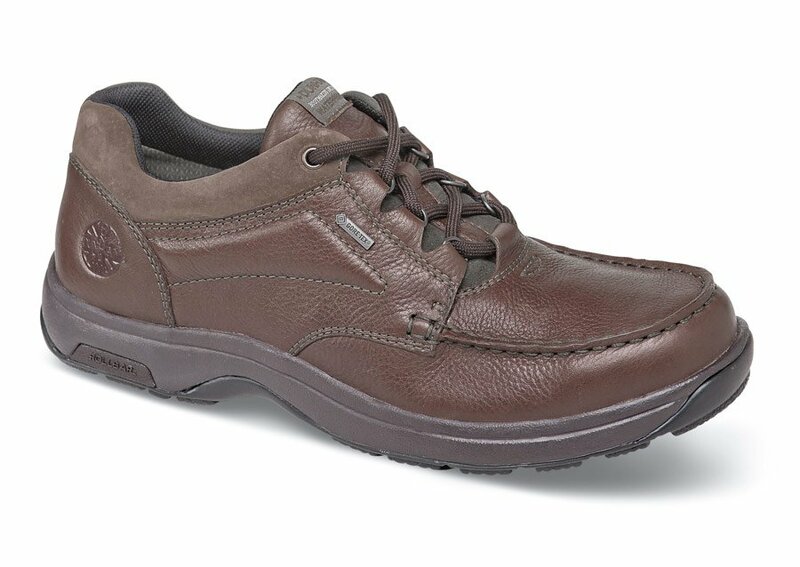 The brown "Exeter" waterproof oxfords from Dunham can be worn equally comfortably in the office or on the trail. 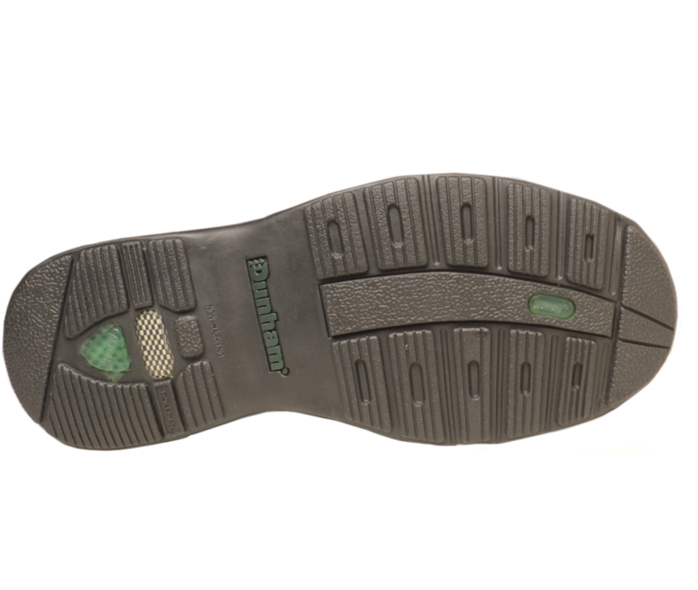 Its sturdy full-grain leather uppers have Gore-Tex® linings, removable EVA footbeds for comfort, R-Bar® technology for rearfoot stability and motion control, and non-marking rubber outsoles that meet ASTM slip-resistance standards in wet/dry conditions. Limited stock in men’s 4E and 6E widths in sizes shown.